Already a legendary figure in electronic music, Chez Damier has played close witness to many of the pivotal moments in the history of house and techno. Jointly responsible with studio partner Ron Trent for both Prescription Records – widely recognised as one of the greatest house labels of all time – and The Morning Factory – one of the most ethereal jams ever to rock a room – Chez Damier carries abound the soul of house music.KMS, The Music Institute, The Bellville three: the Chicago DJ has played pivotal roles in the development of all three hallowed pieces of musical history. However his natural artistry and constant need to out do even himself has led to him passing off such seminal tunes as Can You Feel It as just a stage in his artistic development. It is this development that he also sees in running a label, allowing other talents and close kindred spirits the benefit of the platform he has built.For as an artist Chez Damier represents a unique blend; he is as impetuous and daring as now as in 1989 and being able to qualify this with his own unique heritage makes his releases and DJ performances doubly formidable. Today his sets are entirely unique, not just because of the experience and knowledge he can call upon. Sitting on a mountain of his own edits, nothing he plays is untouched by his hand. Whether is be a stomping disco loop or a jacking Chi-town monster, his own electronic wisdom embedded in each track.When The Music Institute opened in Detroit in the late ’80s it provided the home for a developing music scene. 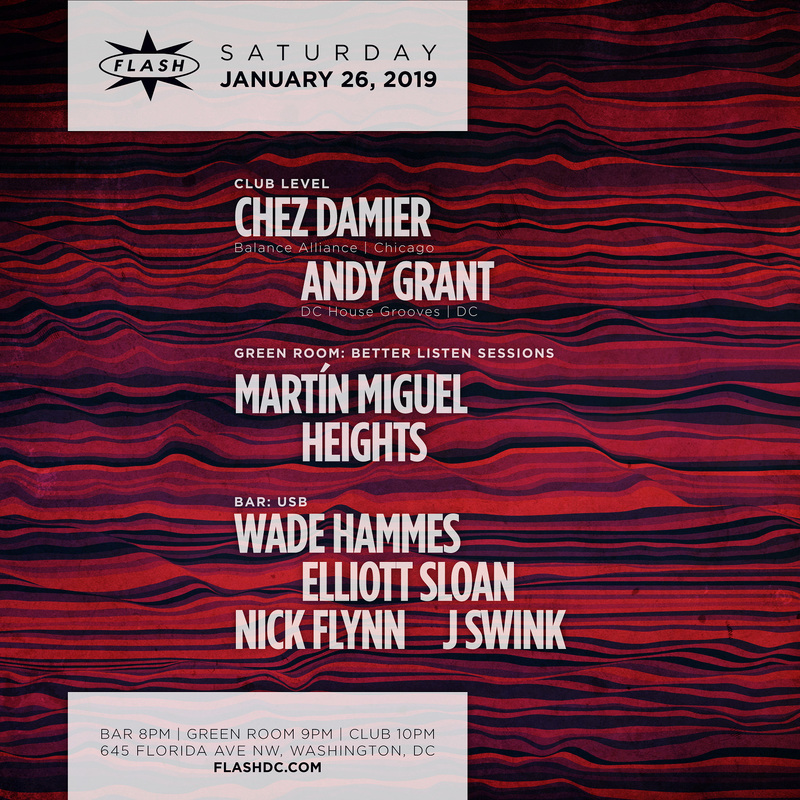 It proved just as important for the development of techno in the city as The Warehouse and The Music Box had been for house music in Chicago and the hedonistic experiences in that club have gone onto shape much that has happened to Chez Damier’s ever since. He is indeed able to bring those experiences to bear on the hottest clubs of today from Berlin to New York, London to Tokyo.After a few years managing the KMS studio and label for Kevin Saunderson, he returned to his hometown of Chicago and, alongside Ron Trent, created the musical legacy that has guaranteed his legend. Immortal cuts like “Sometimes I Feel Like,” “The Choice” and “Be My” remain unparalleled examples of the genre and are now seeing finding a new wave of fans after being reignited around the turn of the last decade. After taking an extended break from the music industry either side of the turn of the millennium, the house music impulse returned to Damier. A handful of releases in 2004 and the odd DJ date hinted that a return was on the cards.In 2009, the last year of the decade Damier found a trusted outlet for his talents. A series of releases for the German label Mojuba signalled that he was on his way back to show the young pretenders the way. Taking up the torch of Prescription, Damier launched Balance Alliance as a home for some of the most forward thinking and talented producers he deems fit to join him on the imprint. Studio partnerships with Parisian Ben Vedren has reignited the production flame and under several alias, he shows signs of putting the past firmly in the past by bettering his classic work. Indeed productions on French label Popcorn are already becoming anthems at clubs like Rex – Paris and the notorious Balearic den of DC10.With momentum building firmly behind him, Chez Damier will continue to push the boundaries for both himself and those he gathers near to him. Hailing from Washington, D.C., Wade Hammes (http://soundcloud.com/wadehammes) is the co-founder of the electronic music blog http://soundcloud.com/tortoiseandthesnare. As a DJ, his sets take on an eclectic mixture of sounds, ranging from deep house to disco -- anything with a groove. He began DJing in 2015 as a way to discover more of the sounds that intrigued him when catching his friends play, and that curiosity has turned into gigs all around the D.C. metro area, including Flash, Rock N Roll Hotel, The Velvet Lounge, 930 Backbar, and others, sharing bills with Mark Funk, Rishi K., Igor Vicente, YokoO, and more.